This is a possible self portrait. 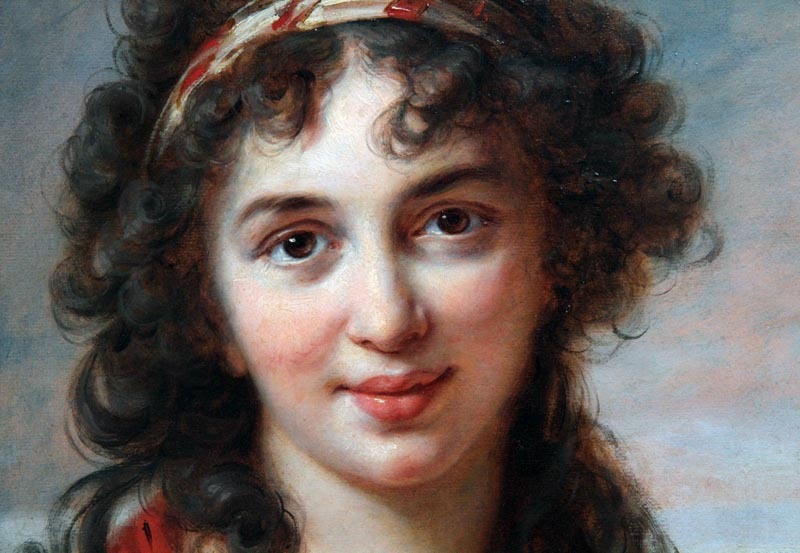 There is an entry in her painting list in 1778 of a self portrait of her head. 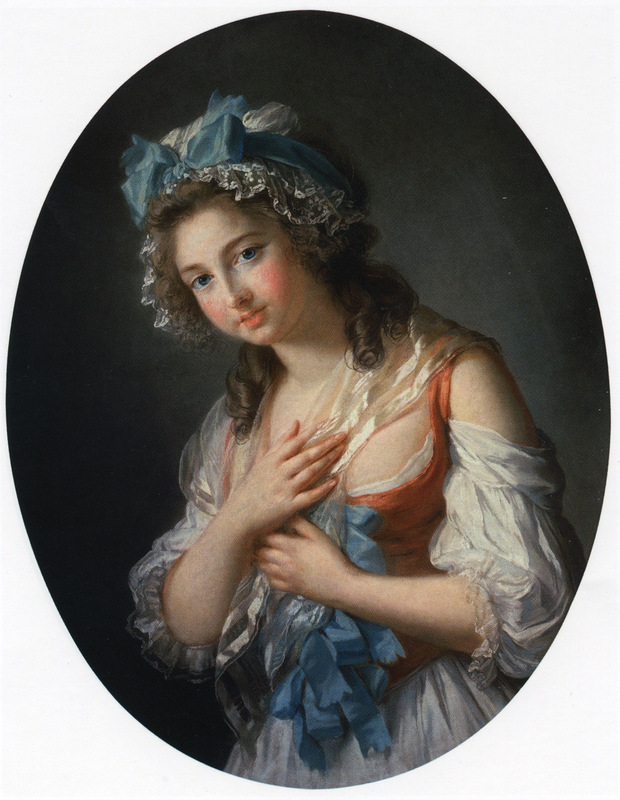 Louise Francoise Gabrielle Aglaé, de Polignac (1768-1803), the daughter of the Comte and Comtesse Jules de Polignac. Married Antoine Louis marie de Gramont, duc de Guiche. This portrait was displayed in the 2015 Paris Exhibition. 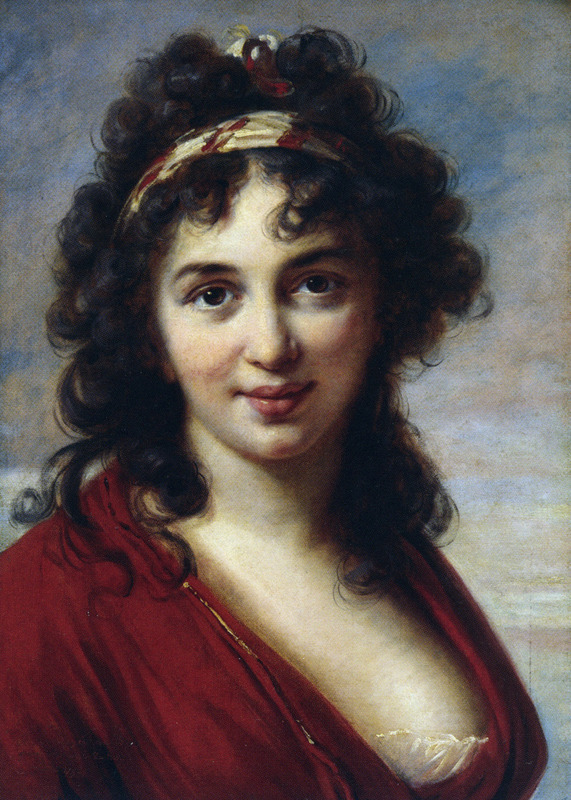 Vigée Le Brun painted her daughters, Lady Ossulston (Art Page 186 From the collection of the Comte de Vaudreuil) and Aglaé Angélique Gabrielle de Gramont (Art Page 165). Isabella Teotochi Marini, later Comtesse Albrizzi. This portrait was displayed in the 2015 Paris Exhibition. View a detail of this portrait. Reference Kimbell Exhibition Catalog Number 37 for more details.